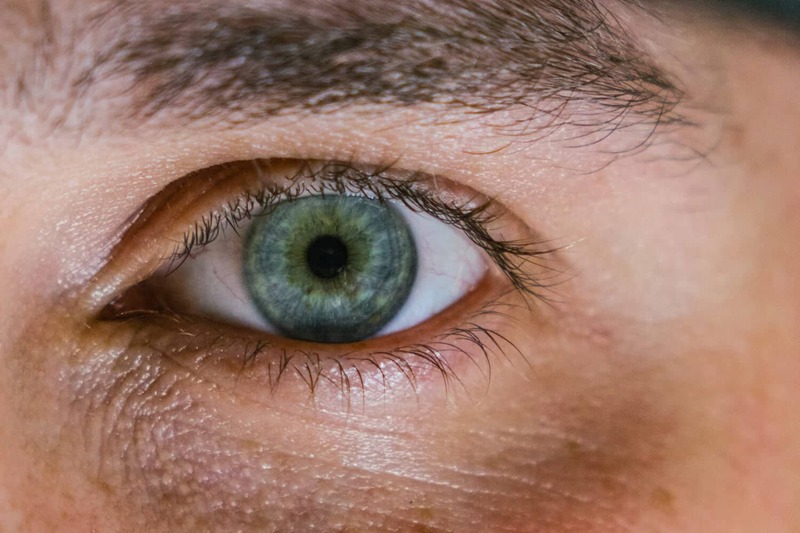 One of the first signs of aging that will become incredibly apparent, other than getting completely winded when climbing a flight of stairs, is going to be the skin around your eyes. As you begin to age, you will start to notice darker circles, crows feet, and even a bit of sagging beneath your eyes. Unkempt eyes can make you appear much older than what you are. 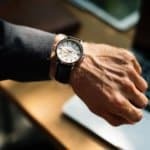 The daily (and likely night) hustles at the office to move up the corporate or perhaps weekend benders with your friends coupled with lack of sleep will hasten this aging process. 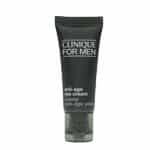 That’s why it’s critical for men, even in their 20s, to work into their daily routine a eye cream specially formulated for men. It’s been scientifically proven that men have naturally younger looking skin when compared to women at the same age (source). When looking at the numbers, men’s skin will appear on anywhere between 10 to 15 years younger than that of a woman’s. 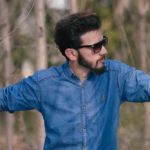 While we might not be lazy in our career aspirations or taking on any challenges thrown our way, the fact remains that men are consistently missing the important aspects of proper skin care. With our lackluster skin care regimen, we quickly catch up to women so to speak in the aging process the longer we go without incorporating any skin care products. Therefore, by the time we reach 50 or 60, we look just about as wrinkly to our female counterparts. So, with that being said, some of the eye creams that we list below will help you to keep your youthful look much longer into your twilight years and most importantly keep the crows feet, dark circles and baggy eyes at bay. But before we go through and list off all the great products, we just want to give a really quick clinic on what you need to look out for on the side of the labels. 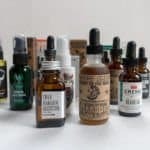 When going to your local drug store, grocery store, or even to an online retailer, the options quickly become overwhelming. You hear terms like retinol and hyaluronic acid that sound like it will completely destroy your face and leave you looking like Freddy Kreuger. Hyaluronic Acid: While at first this may sound like an extremely painful solution given the term ‘acid’ in the title, it’s imperative that you remember your high school (or even middle school) chemistry class. Every liquid is either an acid or a base. Hyaluronic acid is incredibly effective at retaining water, in fact it can hold 500 times its own weight (source)! It’s through this water retention property that it has become so prevalent in anti-aging products for both men and women alike. Therefore, if you have crows feet that are starting to form – be sure to pick up a product containing this key ingredient. Caffeine: While I love to have a cup of joe every morning, the last place I ever thought caffeine would be going is on my face. But alas, you will find caffeine in a ton of beauty products as it has the ability for some men to completely depress puffy eyes to help you regain that youthful look. Caffeine also is a natural antioxidant which will help to knock out some of the bad stuff lurking on the surface of your skin. 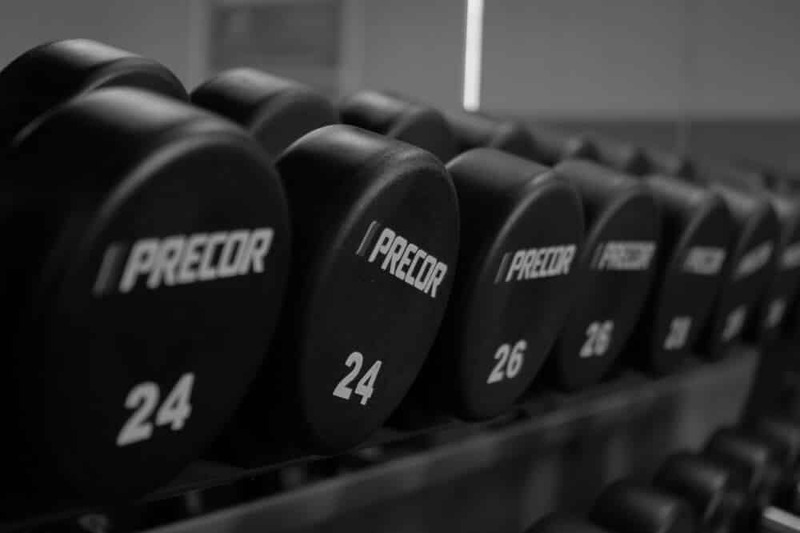 If you were out partying all night, this may help to get you back on point before heading out the door. Retinol: While this ingredient, like hyaluronic acid, may sound a bit scary at first – don’t fret. Retinol is another name for Vitamin A1 (no not the steak sauce), and does an incredibly good job at repairing your skin. Although you can’t just through all caution to the wind when using a product containing retinol. Retinol is heavily used in anti-aging eye creams to reduce the appearance of fine lines and wrinkles. In addition, it will help to provide much needed firmness to your skin if you are experiencing sagging bags under your eyes as well. So, what’s going on at the surface of your skin to make this such a beneficial product? Retinol will help with the turnover of your skin cells leading to a much ‘fresher’ layer that will give off a much more healthy and youthful looking skin tone. 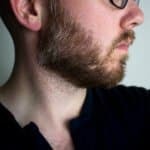 Now retinol can be a bit abrasive for some men, therefore you want to make sure that if it’s your first time using it, that you start out slowly and use it once every other day. As your body gets used to this topical cream, then you can increase frequency to daily use. Being that this turns over your skin cells quickly, you will never want to expose your skin to the sun after application. 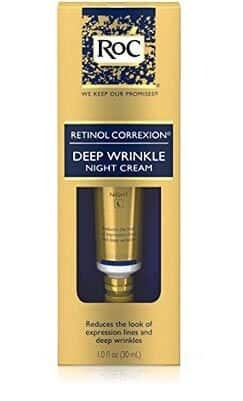 Instead, you will want to apply a product containing retinol before you go to bed. Lastly, be sure to only buy products containing retinol in an opaque container (i.e. solid plastic or aluminum) as opposed to glass as it will keep the Vitamin A structure intact. SPF Protection: As we spoke in length earlier about the differences in years between men and women’s skin, one of the main culprits for us aging quickly will be sun exposure. Therefore, it’s important that along with eye cream, that you also work a face cream into your daily routine. But not just any sort of face cream, instead you will want to select one that has SPF sun protection built in. Just SPF 30 alone can block up to 97% of UVB rays throughout the course of a day. 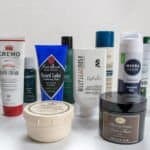 For recommendations on face creams, be sure to check out our in-depth article on the 10 best face creams for men. Part of the Jack Black ProSeries comes this intensive eye cream regimen that will not only reduce puffiness, but also help to reduce the appearance of fine lines and wrinkles while also working to remove any dark circles that develop under your eyes. 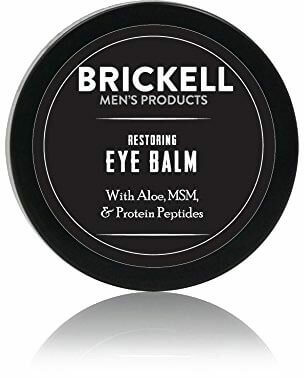 Like the Brickell Men’s Restoring Eye Balm that we have also listed, this eye cream by Jack Black contains Matrixyl 3000 (which has been clinically proven to reduce wrinkles in 2 months). There is no doubt about the quality of the products that Jack Black puts out. As we have often reviewed their line up in our best shampoos and conditioners along with shave cream Jack Black’s products are second to none. 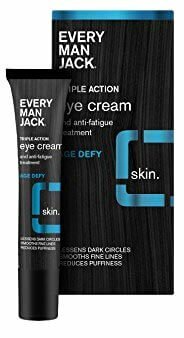 If you have the budget and don’t mind investing in a quality top rated eye cream, then you should give the Jack Black Protein Booster Eye Rescue cream a shot. Absent of GMOs, Parabens, DEA, Phthalates, and animal derived ingredients, this time released eye cream is an excellent choice for the chic man. With a rich mixture of shea butter, jojoba oil, caffeine, aloe vera leaf juice to just name a few, this product should be incredibly effective at warding off and reducing the appearance of wrinkles and fine lines around your eyes. While some men may try out the cucumber treatment on their eyes, this product by Anthony actually includes cucumber extract so it can seamlessly fit into your busy schedule without having to pick up vegetables on your grocery list. Beautifully packaged in a .5oz container, Anthony is among the top tier brands that are on the market when it comes to men’s eye creams. 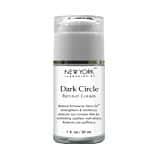 Help ward of pre-mature wrinkles with this highly rated eye cream by Anthony. Popular for their natural deodorants and their award winning shampoo designed specifically for men, Every Man Jack throws their hat in the ring of anti-aging products geared for men as well. Like many of their other hallmark products, this age defiant cream has a natural slant to its ingredient list by relying on components like green tea extract to completely sooth your skin. But where this age defiance cream will really shine, is the antioxidants contained within to help reduce the appearance of dark circles under your eyes. Beyond the compounds to reduce dark circles, this eye cream also contains panthenol (Vitamin B5) along with cocoa butter that will nourish and moisturize your skin incredibly well. Given its notable absence of retinol, this eye cream can be worn throughout the day – just be sure that you double it with a face cream with added SPF protection to keep the harmful UVB rays at bay. 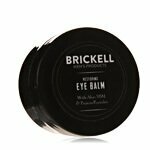 This highly effective eye balm by Brickell has been clinically proven to boost collagen production and reduce wrinkles by 45% in two months. With being one of the most highly peered reviews eye creams on the market, it’s clear that men of any age truly love this eye cream. Using a mixture of caffeine along with the collagen boosting matrixyl 3000, your eyes should be looking fresh in no time. So, if you have dark circles, bags, or simply some crows feet that are starting to form, be sure to check out this highly touted eye cream by Brickell to get the job done. Oh, and another note, while it will work wonder on your eyes to reduce the aging process, this eye cream also doubles down as a skin toner to help to further reduce the appearance of age spots as well! If you are digging Brickell products, be sure to check out their top-notch shampoo and conditioner. There is no doubt about the amount of expertise that Clinique carries to the world of anti-aging. 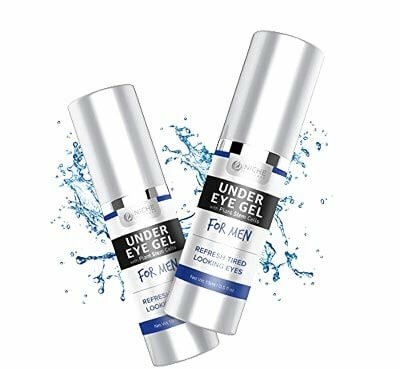 With their vast and incredible line up of products for both men and women dominating the store shelves everywhere, they have an anti-aging eye cream for men to help reduce fine lines and wrinkles. What’s great about this eye cream is that its free of any fragrances, therefore when applying twice daily, you will never grow tired from the scent. Secondly, this eye cream by Clinique is oil free, therefore you shouldn’t have any problems with your pores being clogged fully ensuring that you have optimal skin health around the area of your eyes. Lastly, this product has been fully tested by an ophthalmologist (i.e. experts for your eyes) to ensure its safety. Just a little bit of patting of this cream around your eye and you are set to go. This incredibly popular eye cream for men relies heavily on natural ingredients to get the job done. Housed in a sleek yet stout black container, it will look like it belongs on your countertop. But what’s inside the bottle of course is what really counts. Packed with a sugar extract that will tighten your skin, this eye cream by Kyoku should help to rid even the deepest set crows feet that are beginning to appear on the outer edges of your eye. Beyond its wrinkle reducing capabilities, Kyoku also doubles down as a solution to build radiance around the surface of your eyes that will help to just generally give you a more youthful appearance. This eye gel by Niche Skin Care has been specially formulated for a man’s skin to retain that youthful look you are after. 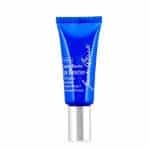 Containing plant stem cells (don’t worry your eyes won’t sprout a biological monster), this eye cream will help to offset not only wrinkles by dark circles as well. With green tea extract as one of the top line ingredients within this product, it should help to fully clean your skin with its natural antioxidant properties. Beyond the green tea, this product also contains panthenol (Vitamin B5) which will be great for your overall skin health. Secondly, this product is made in the USA, so you know that it adheres to strict quality standards that are often not found for products manufactured abroad. Lastly, if you want peace of mind when purchasing this eye cream gel, just know that it comes with a 60 day ‘no problem’ guarantee. When it comes to repairing the skin around your eye and bringing a more youthful look to your skin, there is no better solution than using a product containing retinol. 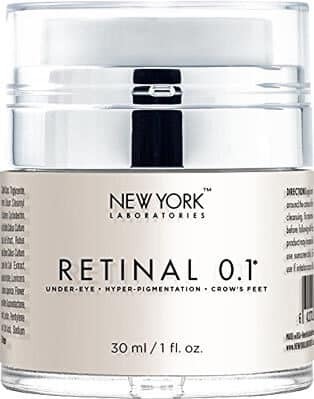 This eye cream by New York Laboratories was specifically designed to keep your crows feet and puffiness drastically reduced with its uncompromising mixture of shea butter, echinacea stem cells, indian ginseng root extract, and aloe vera. After its terrific mixture of ingredients, this product is back by a satisfaction guarantee. Therefore, if you end up picking up this eye cream and are a bit underwhelmed you can get a full refund. Did we mention, this product is also made in the USA! 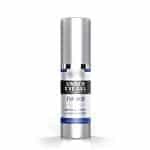 Containing the cornerstone of just about any anti-aging product for both men and women, hyaluronic acid, this eye rescue formula by MenScience will help to give the skin around your eyes the moisture that it is seeking. Formulated with essential vitamins including A, C, E, and K it will also do a terrific job of ensuring that your skin remains incredibly healthy as well. For an extra peace of mind, this eye cream was made in the USA, therefore adheres to strict quality standards. If you are looking for an uncompromising eye cream that gets all the basics right when it comes to resolving fine lines, wrinkles, puffiness, and dark circles then it’s probably worth exploring this one a bit more. 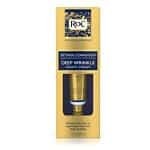 This retinol based, non-pore clogging formula by RoC is a terrific way to work on your eyes while you are sleeping. Given their rich history in skin care, RoC is an extremely respected brand in the skin care community of both men and women. What’s great about the packaging for this particular eye cream is that it’s completely opaque, therefore light cannot penetrate the tube which would ultimately destroy the retinol contained within. At a sub $20 price tag, this is likely one of the best value eye creams for men on the list. As stated directly on the box, expect to see crows feet drastically reduced along with any signs of photodamage diminished after only 4 week’s worth of use. Fast forward to about the 12-week mark of using this product, and just about any signs of deep wrinkles should also be visibly reduced. Just remember, since this product relies on retinol, you will never want to put this on before any sun exposure. Also, some men may find retinol a bit abrasive, therefore if it’s your first time, be sure to only use this product every other day and work it in gradually to a daily habit.